This article provides valuable insight to those which are looking to deploy a digital marketing simulation game in a Digital Marketing (Strategy) course. It is written by Dr. Xi Chen from the Rotterdam management school, part of Erasmus university in the Netherlands. Read on to learn how to improve strategy formulation and results analysis for students in your digital business course. In my course, titled “Digital Marketing Strategy”, I have felt there is a gap between what is discussed in class and what goes on with real business practices. I am currently adopting a “marketing strategy” angle to direct my students through the dynamic and at many times chaotic landscape. I feel that students need to cross the technical barriers to understand the importance of integrating digital marketing strategies and tools. Therefore, I need an instruction method to integrate the technical and strategic side of digital marketing. This is where Simbound comes in. With the Simbound simulation the students are effectively “learning-by-doing” through different modules which are mapping well real- world practices, such as keywords bidding, A/B testing and website design. Even more of importance is the fact that the Simbound games also allow students to become goal-seeking in terms of analyzing a complex decision-making process through a top-down approach by breaking down their overall objectives into specific goals. It is then natural for the students to see that all the objectives and goals are in the rightful place only after an overall strategic planning is formulated through careful marketing situation analysis. Furthermore, what makes the Simbound simulation useful is it gives students an opportunity to learn how to work in teams and to react quickly to an unpredictable evolution of the market, which is resulted from each team’s decisions at different rounds. As such, the Simbound simulation environment approximates the well-known Kolb Learning Cycle, where the students embark on a self-directed journey by transforming experiences into knowledge. Specifically, students learn the related concepts and theories not through a fixed but a formed-reformed process by making decisions at different rounds of the simulation game. With Simbound, I have gotten good feedback from the students that the course is “practical” or “realistic” or “preparing them well for the job opportunities in digital marketing”. In my course, I usually use Simbound simulation with around 50 students, who are placed into roughly 10 groups. I try to keep the group size small to better engage students in the decision processes as discussion between the group members is a critical part of experiential learning. The students already know basic digital marketing concepts, including web analytics, search engine marketing and email marketing and get an idea of the importance of strategic planning. When setting up the game, I feel much consideration needs to be directed towards the decision of how many rounds there will be in the game and also the time allocation for each round. From my own experience, it is better not to have a pre-determined approach but to decide these in response to the students’ level of engagement, which can be easily read from the activity center. In general, a long time lapse between rounds may lead to loss of contact and decreased level of engagement while a short one heightened pressure and possibly bad performance. Before the start of the simulation game, it is also important to give students some general guidelines which can direct them in the rather complex decision process. For instance, I always tell students it is important to consider the overall marketing objectives and strategies before making any digital marketing decision. I also feel it is critical to have a feedback session in the form of a lecture (or in-class discussion) and/or a group report. In my group report requirements, I oftentimes ask them to explain why they are performing well or bad at each round. Such a reflective learning process enables them to think deeper about their learning experience. 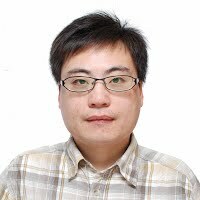 Dr. Xi Chen is teaching several marketing courses at Rotterdam school of management including digital marketing strategy, topics in marketing research and advanced marketing decision models. His research focuses on how tools and insights seen through network theory can help understand marketing phenomena and improve marketing practices. Rotterdam school of management in the Netherlands is one of Europe’s leading research-focused business schools. The school does well in teaching too with its MBA and Masters in Management courses consistently ranked amongst the elite of study programmes. The institution is rather young on the continental landscape of modern management institutions being founded in 1970. Even so it came in at 11th in the 2016 ranking of the top 90 European business schools put together by the Financial Times. RSM is joined by 7 additional institutions from the same ranking which are currently using Simbound.